Nebraska offensive coordinator Troy Walters met with the media Wednesday following the Huskers' practice to talk preparing for Troy, quarterback Andrew Bunch, the progression of Adrian Martinez and more. 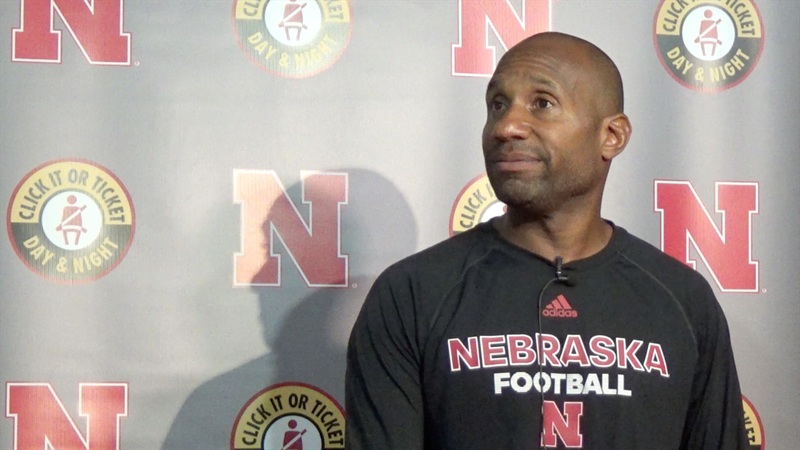 Watch his complete Q&A session with reports below and check back later for more from Nebraska's Wednesday practice in preparation for Troy. 0:25 Evaluating QB Andrew Bunch. 1:00 The status of QB Adrian Martinez. 1:30 Having the play multiple QBs early in 2016 at UCF. 2:15 The Huskers' third option at QB if Martinez is not available. 3:30 What happened on Stanley Morgan Jr.'s near touchdown catch late in the game. 4:25 Would Martinez be available even if he doesn't practice this week? 4:45 Wide receiver drops versus Colorado. 5:35 Nebraska's struggles with starting field position last week. 6:40 Working on ball security.